Same Day Coverage – New Orleans Tow Truck Insurance. If you need coverage for New Orleans Tow Truck Insurance you have found the right company! Jeff Davis Insurance offers a super competitive Tow Truck Insurance Program throughout the State of Louisiana. 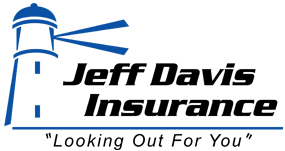 Call 337-824-4455 and speak to the representatives of Jeff Davis Insurance right now!. We are a leading independent agency specializing in Tow Truck Insurance in Louisiana and in most cases we offer same-day coverage for up to 10 vehicles. If you are a new towing service company or a well-established firm, we have the markets to help you find the protection you need. 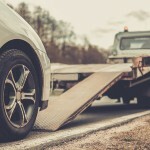 Great Coverage and Advice for Louisiana Tow Truck Insurance Is One Call Away! As a business owner you need good coverage to protect yourself financially. You should never settle for cheap coverage without advice from a company caring for your trucking insurance. As an agency we work with top rated companies but we also provide helpful tips and advice to protect you financially. 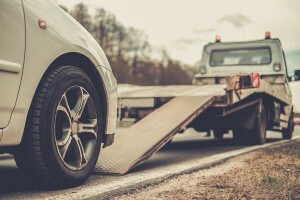 The bad news is that some companies selling Tow Truck Insurance in New Orleans will not lift a finger to help you if you have a claim. This is where we at Jeff Davis Insurance are different. We offer a Claims Advocacy Program to help the claims process run smoothly and efficiently. For example if you are involved in an accident even if it’s not your fault, what steps should you take? Following the company’s requirements you are insured with is step number one. Steps to Take If You Are Involved in an Accident with Your Tow Truck. For coverage to apply under this policy, you or the person seeking coverage must promptly report each accident or loss even if you or the person seeking coverage is not at fault. Refer to your policy documents for the claims phone number. You or the person seeking coverage must also obtain and provide us the names and addresses of all persons involved in the accident or loss, the names and addresses of any witnesses, and the license plate numbers of the vehicles involved. If you or the person seeking coverage cannot identify the owner or operator of a vehicle involved in the accident, or if theft or vandalism has occurred, you or the person seeking coverage must notify the police within 24 hours or as soon as practicable. However, for purposes of uninsured motorist coverage when the owner or operator of a vehicle involved in the accident cannot be identified, you or the person seeking coverage must notify the police no more than 30 days after the accident. In next week’s issue we will consider other important steps that must be taken for coverage to apply with your Policy. Great Rates and Coverage for Tow Truck Insurance in New Orleans. As a business owner you are likely very busy and the last thing that you need is spending hours on the phone looking for better deals on tow truck insurance in New Orleans Louisiana. We not only can save you time but we will find the coverage you need at an affordable price. Why not call us today at 337-824-4455? Our licensed agents are available Monday through Friday 8:30 AM to 4:30 PM Central standard Time.